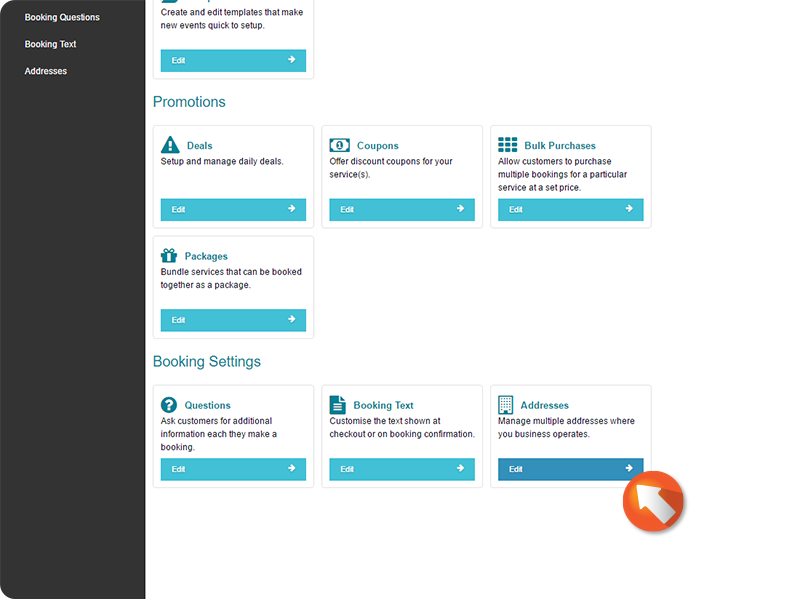 Booking Questions allow you to take information from your Customer each time that they make a Booking. Questions can take the form of Yes/No, have a text field for replies, have multiple choice options, and more. These questions are asked each time a Customer makes a Booking, and can be assigned to different Services, Resources, and Events as you desire. Booking Text provides additional information to Customers as they make a Booking. Provide disclaimers, warnings, or pre-appointment instructions with Booking Text. 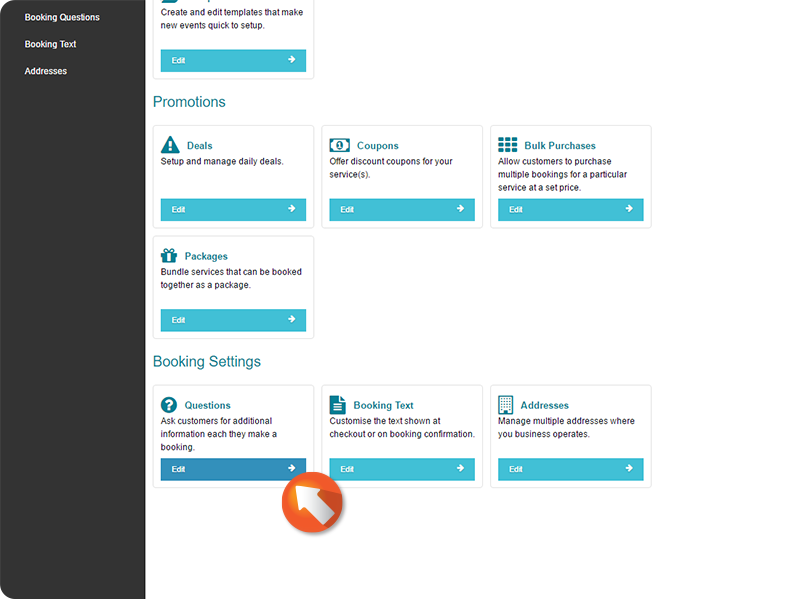 Booking Text appears as Customers select a Service/Resource/Event to be booked and can be displayed before Checkout or during Booking Confirmation. Addresses manages the different locations your Business operates in. This can be a single Location, or a list of multiple Locations. 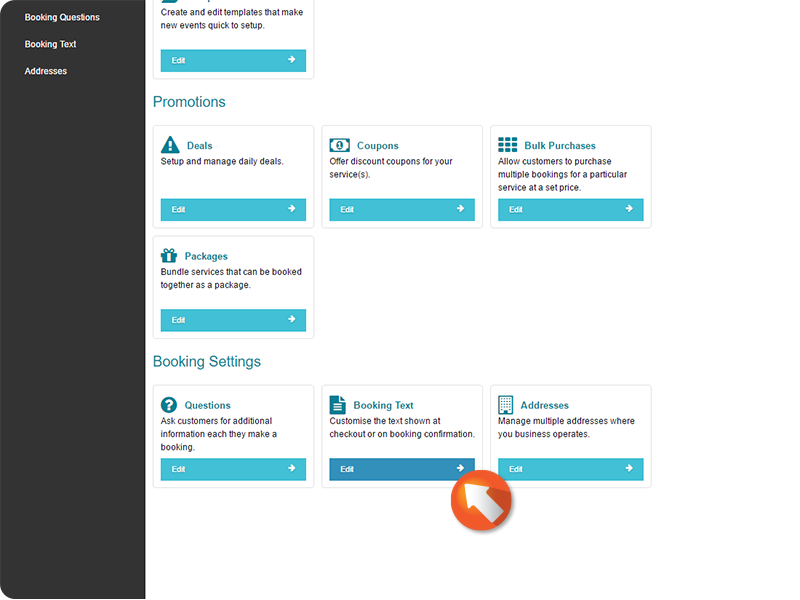 Click Questions to view and edit Booking Questions. Click Booking Text to view and edit Booking Text. Click Addresses to manage Business Locations.